Li Shi Zhen first described the adrenals and their functions in the 1500’s. 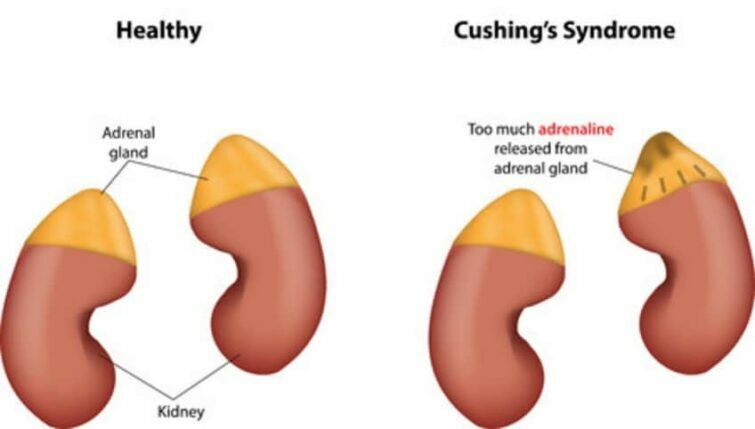 Cushing’s Syndrome is due to excess secretion of Adrenocorticotropic hormone (ACTH) by the pituitary or over prescribed ACTH such as in Addison’s disease. There may be a number of symptoms including tiredness, fluid retention, muscular weakness and accumulation of fatty tissue around the shoulder blades and back of the neck. There can also be irritability and in females, menstrual problems. Western medical blood tests are used to help confirm diagnosis. Scans are used to rule out tumors. Traditional Chinese medicine views that this condition mainly stems from deficiency of the kidneys and spleen and resultant complications. This will be expanded upon later. Can traditional acupuncture help for the upper back fat build up as seen in Cushing’s Syndrome? There is a traditional Chinese medicine saying that states “Skinny people have fire and fat people have phlegm“. The build of phlegm and dampness causing fatty tissue is seen as a spleen problem according to Chinese medicine. This spleen imbalance can come about from irregular diet, over work or wrong treatment. In traditional Chinese medicine terms, over prescribing of ACTH is seen as wrong treatment damaging the body. Chinese herbalists also view that over prescribing of inappropriate herbal formulations can lead to side effects. Traditional treatment aims to enhance and restore spleen function, resolve dampness and promote circulation which then can improve the body’s metabolism. What about the muscle weakness and tiredness as observed in Cushing’s Syndrome? In Chinese medicine theory, the spleen is regarded as the organ that controls the flesh , that is the muscles and hence acupuncture and chinese herbs can be used to address the symptoms of muscle weakness. In addition, the spleen works in conjunction with the stomach to process and distribute the nutrients from food and drink and thus our energy levels can be improved using acupuncture. One acupuncture point, Stomach 36 for example, may be used for stomach pain, abdominal bloating and tiredness and may be selected for the symptom of fatigue in Cushing’s Syndrome. One of the symptoms associated with Cushing’s Syndrome are purplish-pink stretch marks on the abdomen, is this significant in terms of traditional diagnosis? 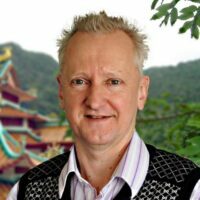 We ask Alan Jansson, a Japanese style acupuncturist working in Queensland with over 30 years of experience and who has conducted numerous workshops all over the world. 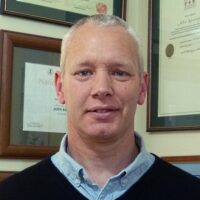 He says “The abdomen is very important as part of conducting diagnosis in traditional Japanese acupuncture. For example, we feel for resistance or tightness in certain areas as well as for sensations of heat or cold. Sometimes above the naval may be hot and below the naval cold and all can mean different things. Presence of purple discolouration could indicate a liver deficiency with cold or many other patterns such as spleen deficiency with blood stasis. We have to take into account many other diagnostic criteria and not just one isolated symptom“. There are over 600 acupuncturists who are members of Acupuncture NZ from Southland to Northland.